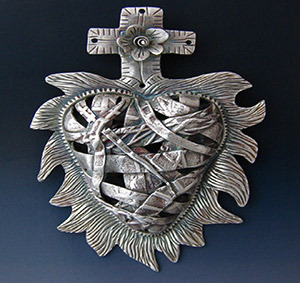 The United States was introduced to Precious Metal Clay in 1996 via New Mexico and the manufacturer was Tokyo based. Artists could work this precious metal exactly like clay, except when it was kiln-fired it became solid metal. The material itself was a combinations of organic binders and fine-grain metal powder. During 2000 it still have not sparked any revolution as it never belonged to the jewelry world, yet it made the industry rethink jewelry manufacturing. Artists however use metal clay in increasingly sophisticated and innovative ways. Metal clay are used with many different media and different ways due to its extreme versatility and ability to integrate in different art mediums. PMC as it is referred to is easy to work with and what is more is the short learning curve to make it a great media for artists. It is not surprising that the first art designers to use and embrace this metal clay is the polymer clay artists. Even though clay artists were the least intimidated by PMC as they had the advantage of working with clay and understand the methods. Jewelers on the other hand traditionally take a file to this material, something which metal clay did not require as many years ago an artists would roll out a form, add some texture and adding a hole in it, finished their jewelry design. Even though Precious Metal Clay is more expensive than casting grain and any traditional silver sheeting, however this initial cost is cut down dramatically when looking at the huge amount of time saved during production as well as much less tools. Large scale jewelry manufacturers who would for example run their company based on this material would be able to have their business in the center of midtown in an office building as they have no gas lines needed to be installed, no special fire hazard control and zero pollution control.